December 18, 2015 — PROVIDENCE — Lobsters are already slowly moving out of southern New England as waters warm, but the iconic crustacean faces another future threat as the climate changes. As oceans absorb more carbon and become increasingly acidic, juvenile lobsters likely will have a harder time growing and forming strong shells to protect them from predators, according to a recent University of Rhode Island study. And it’s not just lobsters that could be harmed by the oceans’ changing pH levels. Shellfish populations in Rhode Island and Massachusetts in general are among the most vulnerable in the United States to ocean acidification, according to a recent study in the journal Nature Climate Change. The study identified the two states among 15 at-risk areas in the nation because colder, northern waters, such as Narragansett Bay, Buzzards Bay and Nantucket Sound, are absorbing more carbon dioxide from the atmosphere and acidifying faster than warmer waters. Other more localized factors are also playing a part, including nutrient pollution from fertilizers and sewage systems that can add more carbon to the water and the flow of fresh water from poorly buffered rivers, such as the Blackstone in Rhode Island or the many waterways that drain into the Gulf of Maine, which lack minerals to mitigate the effects of acid. Shallow coastal waters also are more susceptible to changes in the ocean’s chemistry. About a quarter of all carbon emissions from power plants, cars and other sources are absorbed by the oceans, making them more acidic and reducing carbonate levels. Shellfish use carbonates to make their shells, and when fewer of the compounds are available, organisms must expend more energy to build shells and less on eating and survival, researchers say. December 28, 2015 — Commercial fishing is one of the most dangerous jobs in America. Groundfishermen in the Northeast are 37 times more likely to die on the job than police officers, according to U.S. Department of Labor statistics. They are 171 times more likely to die on the job than that average American worker. Because there is no controlling the open ocean and offshore weather is difficult to impossible to consistently predict, fishing will always carry an element of danger. It can, however, be safer. Only 10 percent of New England’s offshore fishermen have been through safety training. Raising that percentage will save lives. Congress decided as much in 2010, when it passed the Coast Guard Authorization Act, which among other things required additional safety and survival training for those operating commercial fishing boats more than 3 nautical miles from shore. 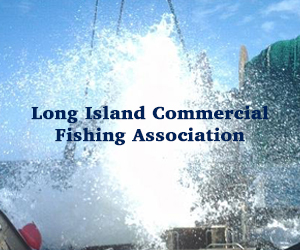 The act established two competitive grant programs to help pay for the needed training; $3 million was to be set aside for fishing safety training, with another $3 million for fishing safety research grant programs and safety equipment. December 27, 2015 — Few professions are as significant to New England’s economy and history as fishing. Yet the ranks of groundfish fishermen have dwindled so much that we’re now an endangered species. The causes are many—but the one now threatening us with extinction is the federal government. Along with one other plaintiff, I’m suing the National Oceanic and Atmospheric Administration to stop it from sinking New England’s groundfish industry for good. Groundfish include cod, haddock and 11 other common bottom-dwelling species. After years of dwindling stocks, in 2012 the U.S. Department of Commerce issued a disaster declaration for groundfish territory off the coast of New England. Over the past four years my cod quota—my bread and butter—plummeted from 60,000 pounds to 3,700 this year. I caught my limit in four days in June. Shifting ocean patterns have certainly contributed to our struggles, but regulators are a separate anchor altogether. 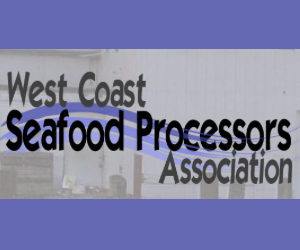 Groundfish fishermen are organized into a patchwork of 15 sectors, i.e., government-designed cooperative organizations. We operate under at least seven overlapping federal and state entities and programs, all of which have their own regulatory nets. December 28, 2015 — The following is a excerpt from an opinion piece published today in The Wall Street Journal. Mr. Goethel, a groundfish fisherman out of Hampton, N.H., writes that he is suing the National Oceanic and Atmospheric Administration “to stop it from sinking New England’s groundfish industry for good.” He is represented by Cause of Action, a government watchdog group based in Washington, D.C.
Few professions are as significant to New England’s economy and history as fishing. Yet the ranks of groundfish fishermen have dwindled so much that we’re now an endangered species. The causes are many-but the one now threatening us with extinction is the federal government. Along with one other plaintiff, I’m suing the National Oceanic and Atmospheric Administration to stop it from sinking New England’s groundfish industry for good. Groundfish include cod, haddock and 11 other common bottom-dwelling species. 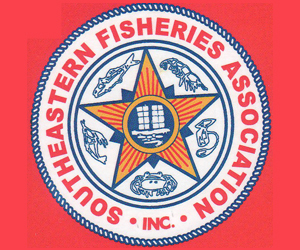 After years of dwindling stocks, in 2012 the U.S. Department of Commerce issued a disaster declaration for groundfish territory off the coast of New England. Over the past four years my cod quota-my bread and butter-plummeted from 60,000 pounds to 3,700 this year. I caught my limit in four days in June. As if warrantless searches from the Coast Guard, catch inspections upon returning to port, and satellite tracking weren’t enough, at-sea monitors also accompany us on roughly one in five randomly selected fishing trips. They are hired by three for-profit companies-one of which is led by the former NOAA official who designed the monitor program. They follow us around and take notes on everything we do. That includes measuring our nets, measuring fish we bring in and those we throw back, and recording our expenses down to how much we spent on lunch. The program is unnecessary given the heavy regulation that exists. And last month NOAA informed us that, beginning on Jan. 1, groundfish fishermen must pay an estimated $710 a day when a monitor is present. That fee covers the monitors’ training, mileage to and from the fisherman’s boat, supervisor salaries, data processes and all other administrative costs. It also covers a set profit margin for the three companies providing the monitors. What those margins are, neither NOAA nor the companies have disclosed. December 24, 2015 — With recent funding from the Maine Outdoor Heritage Fund, the Maine Department of Marine Resources has taken another step forward in its ability to lead whale disentanglement efforts. The $20,000 grant will be used by the DMR to purchase a soft bottom inflatable boat that can maneuver more safely and effectively when Maine Marine Patrol, along with key DMR staff, respond to entangled whales. December 28, 2015 (AP) — Many New England lobstermen are still fishing deep into December this year because of unseasonably warm weather and an abundance of the critters, and Maine’s beloved scallops are a little harder to come by as a result. The extra fishing hasn’t done much to change the price of lobsters, which are selling in the range of $8 to $10 per pound in Maine, typical for this time of year, when Canada is also hauling in large catches. But some lobstermen in Maine, the biggest lobster-producing state, also fish for scallops and haven’t made the transition to the winter scalloping season because lobster fishing is still strong. As a result, Maine scallops — which usually cost about $20 per pound — have been slightly more expensive, sometimes selling in the $25-per-pound range, and some retailers are low on supply. Alex Todd, a Portland scallop and lobster fisherman, said he expects scallop fishing in the southern part of the state to pick up in mid-January. Supply from scallop-rich Cobscook Bay is helping feed demand for now, he said. December 23, 2015 — The National Oceanic and Atmospheric Administration is exploring the possibility of relocating the Northeast Fisheries Science Center to a new facility outside of Woods Hole. NOAA’s chief of research communications Teri Frady said Monday that the United States Department of Commerce, which oversees the NEFSC, has been evaluating the feasibility of the existing facility for about a year. 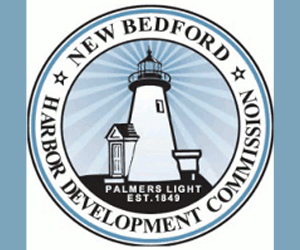 She said a report will be completed by spring 2016 outlining options for the facility, which could include moving operations to a new building outside of Woods Hole. The fisheries center, which operates as a research division of NOAA Fisheries, was founded by Spencer Fullerton Baird upon his appointment by President Ulysses S. Grant as the country’s first fisheries commissioner in 1871. The original facility was built on Water Street in 1885. After the facility was destroyed during Hurricane Carol, the current building was constructed in the same location in 1961. Today, the Woods Hole branch manages operations of four other fisheries laboratories in the northeast, including those in Sandy Hook, New Jersey; Milford, Connecticut; Narragansett, Rhode Island; and Orono, Maine. Ms. Frady said NOAA sees relocating as a way of possibly bringing all the fisheries operations together. In addition to its headquarters on Water Street, the fisheries houses its observer program on Carlson Lane, while its social sciences department operates out of leased space in the Falmouth Technology Park. The organization also operates a warehouse in Pocasset. 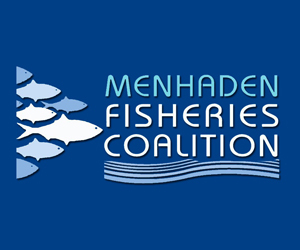 December 24, 2015 — Researchers at the New England Aquarium, in conjunction with those from state agencies, are getting closer to releasing study results on the collateral impact of recreational haddock discards on the overall mortality rate of the species. Dr. John Mandelman, director of research at the Boston-based aquarium, said the the field work for the study was completed in early November. He expects the New England Fishery Management Council, which helped fund the study, to complete vetting the analysis sometime early next spring. 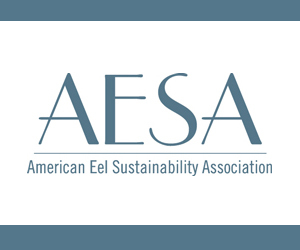 The field work was performed with significant assistance from recreational fishing operators such as Gloucester-based Yankee Fleet and Seabrook, New Hampshire-based Eastman’s Docks Fishing Fleet. Mandelman said project researchers made about eight trips last spring aboard some of the Yankee Fleet’s larger party boats, focusing on observing how a full range of anglers — from novice to veteran — performed catch-and-release of haddock discards, while also charting catch gear, catch conditions, injuries to the fish, time out of water and sea temperatures. 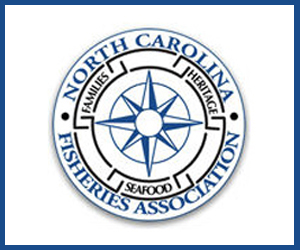 The New England Fishery Management Council will host a workshop on February 22-23, 2016 to explore concerns about inshore scallop fishing. It will be held at the Crowne Plaza Hotel in Warwick, RI. Discussions will build on and contribute to ideas expressed in the Council’s May 2015 white paper on this issue. The Council has enlisted the Fisheries Leadership & Sustainability Forum (Fisheries Forum) to assist in developing the workshop agenda and facilitate discussions. 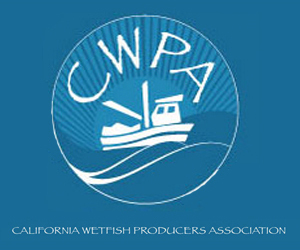 For more information, including background material and registration forms, see Sea Scallop Workshop, Feb 22-23, 2016. If you have questions, please contact Deirdre Boelke at dboelke@nefmc.org.